There are a number of reasons that you may have lost a majority or all of your teeth, including a serious accident, dental decay, or malnutrition. When this has occurred, you may want to consider visiting our White Rock, BC dentist to have dentures made for your mouth. During your initial consultation, we will determine whether you need a partial or full set and discuss how this will enhance your life. Throughout the years, we have earned a positive reputation for our compassionate and professional dental care. 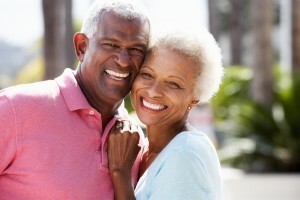 If you would like to learn more about how dentures can enhance your smile and mouth, please call our team today!